Who says Christmas paper has to be just for Christmas? This stunning design by Romy Veul is a summer design using two of Maja Design’s Christmas Collections. Don’t you just love how versatile this paper is? Why not use Christmas paper for a summer layout? Romy used the Big Shot for most of her layout. She used the dies to create four doilies in different sizes and positioned them from the bottom left to the upper right corner of her layout. In the middle of the layout she added a doily and on top, she layered several pieces of paper from the Gammaldags Jul and It’s Christmas Time Collections by Maja Design. Romy added some embellishments and a cut out grid pattern with paper roses from Prima on top of the layered paper. 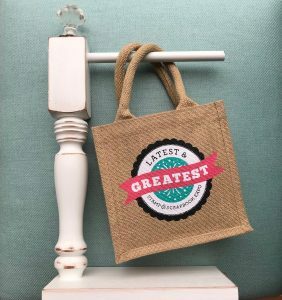 Twine seemed to be the perfect finishing touch with a tied bow around a metal key and placed in the hand of a resin angel. A tiny brad was used on top of the bow. Thank You Romy for sharing this amazing layout with us and giving us wonderful inspiration. 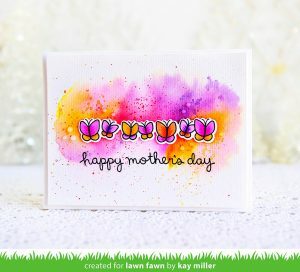 You can see more of her beautiful designs on Scrapstuff and More. Thank you so much for visiting. Have a wonderful day! 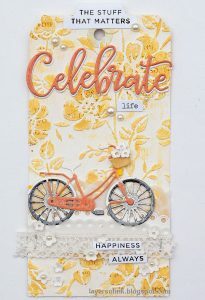 This entry was posted in Scrapbooking and tagged Bo Bunny, Cheery Lynn, Graphic 45, Maja Design, Martha Stewart, memory box, PRIMA, Romy Veul, Scrapstuff and More, Spellbinders, Tim Holtz.